1998-2002 Ph.D. in Economics at the Erasmus University Rotterdam, the Netherlands. Ph.D. Thesis: “Beyond Transition: Essays on the Monetary Integration of the Accession Countries in Eastern Europe”. PRAXIS XXI/ESF Scholarship. 1992-1994 M.Sc. in Applied Economics at the FE/UNL, Portugal. 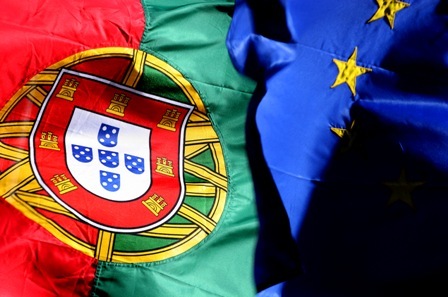 Master’s Thesis: “Determinants of Foreign Direct Investment, with an Application to Portugal”. 1986-1990 B.Sc. in Economics at the FCE/UFBa. Valedictorian. 1973-1983 School “Nossa Senhora da Vitória” (The MARIANISTS Catholic School). 1Thesis adviser: Prof. Dr. Francois, J., Economics College, Johannes Kepler University Linz and CEPR. Deputy adviser: Prof. Dr. de Vries, C., Economics College, Erasmus University Rotterdam (FEW/EUR). 2Thesis adviser: Prof. Dr. Nogueira Leite, A., Economics College, New University of Lisbon (FE/UNL). External adviser: Prof. Corado Simões, V., ISEG/UTL.